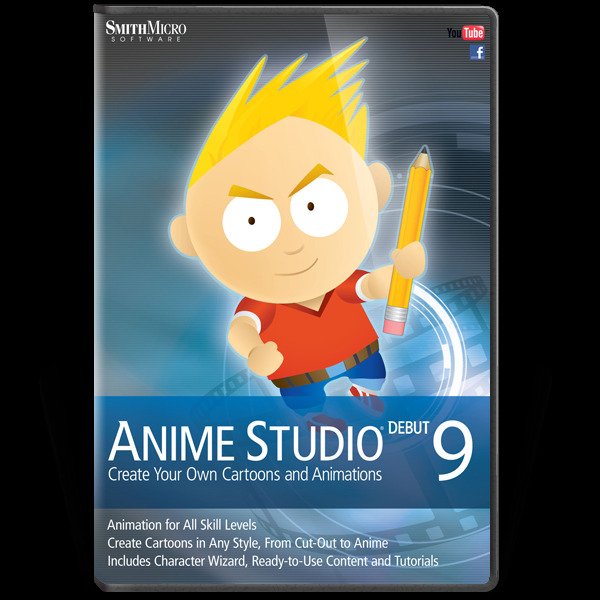 Anime Studio Debut includes everything aspiring artists and hobbyists need to create quality animations from start to finish. 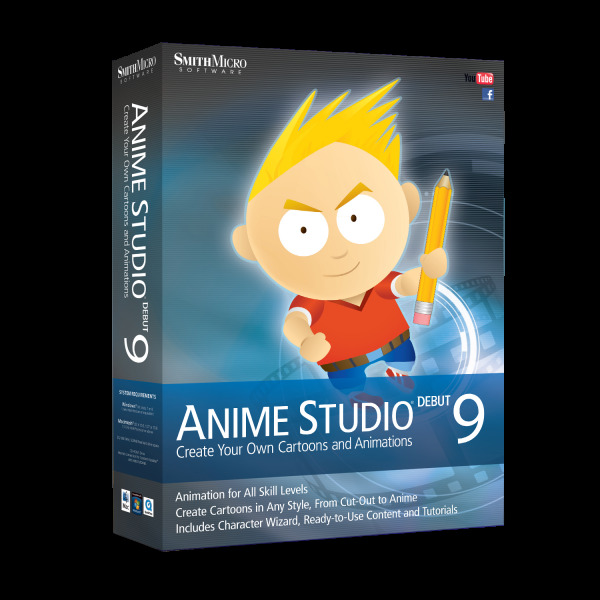 Anime Studio Debut simplifies the animation process, empowering artists to create their projects faster and easier than ever before. 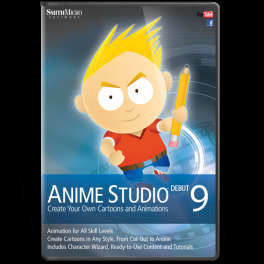 Anime Studio is your complete animation program for creating 2D movies, cartoons, anime or cut out animations. Create your own desktop animated shorts in the style of SouthParkStudios.com, JibJab.com and TheSimpsons.com, or use it to produce animations for film, video or streaming over the web. Get started quickly with the Beginner’s Mode. 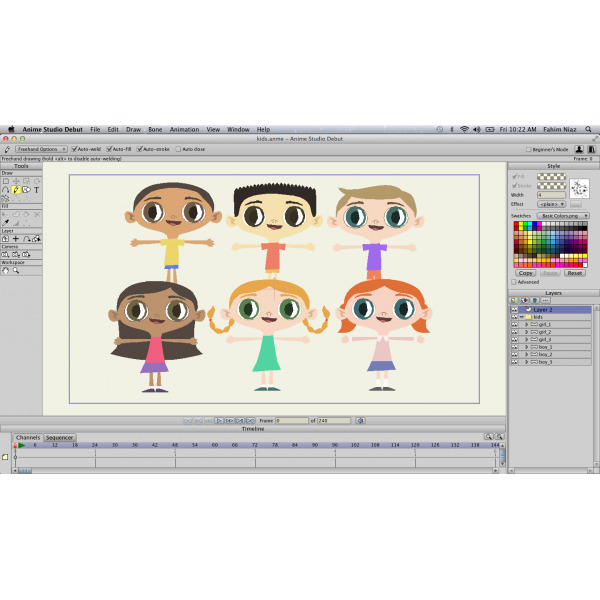 Create your own custom characters using the built-in Character Wizard and convert your existing paper drawings to ready-to-animate vector images with one click. 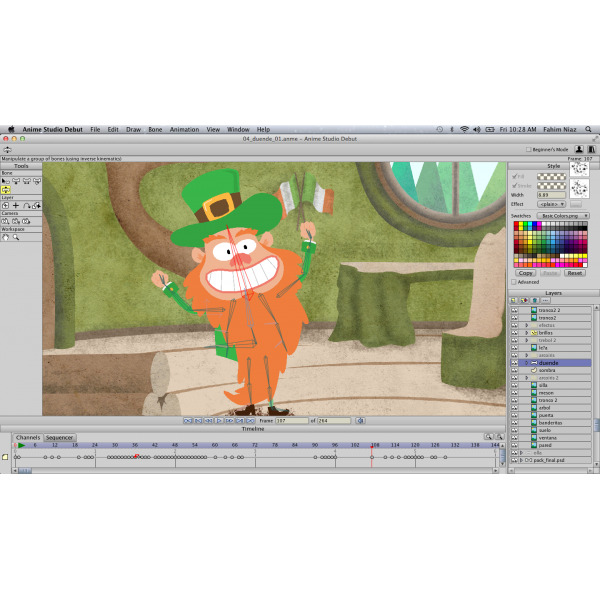 Draw your own artwork using built-in brushes, import digital photos, add sound and video, and choose from pre-designed characters or create your own and make them talk using integrated lip-synching. 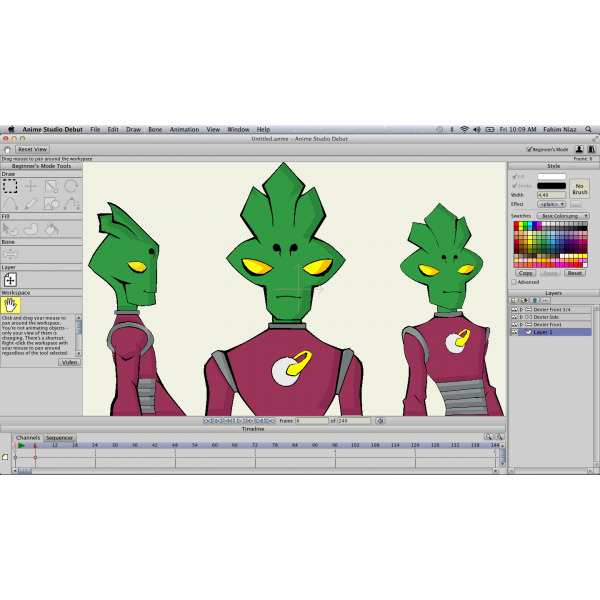 The revolutionary bone rigging system makes animating fast and an efficient alternative to tedious frame-by-frame animation. Draw your own art with intuitive vector-based draw and paint tools or use pre-built content from the Library to get started. 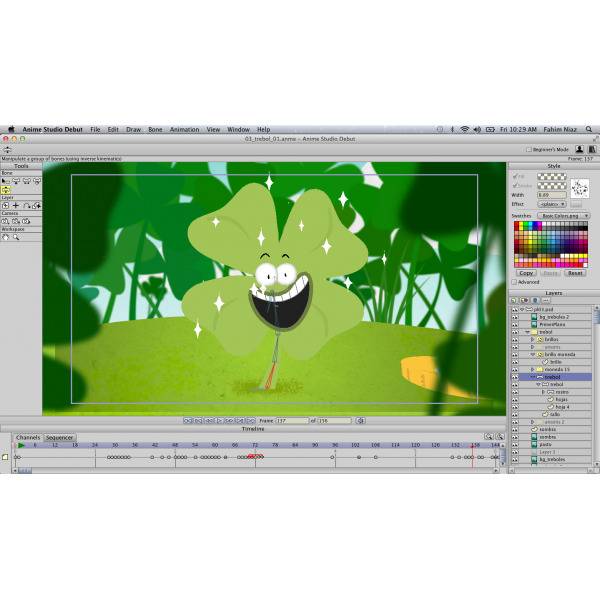 Easily import your hand- drawn sketches or existing artwork from popular graphics programs and automatically convert them to ready-to-animate vector drawings. Export to the most popular web and video formats, or upload and share on YouTubeTM or Facebook® directly from within Anime Studio. Use pre-built characters including Jace, Liz, Lightning Man, Dexter and Anime Boy. All are royalty-free, vector- based creations. 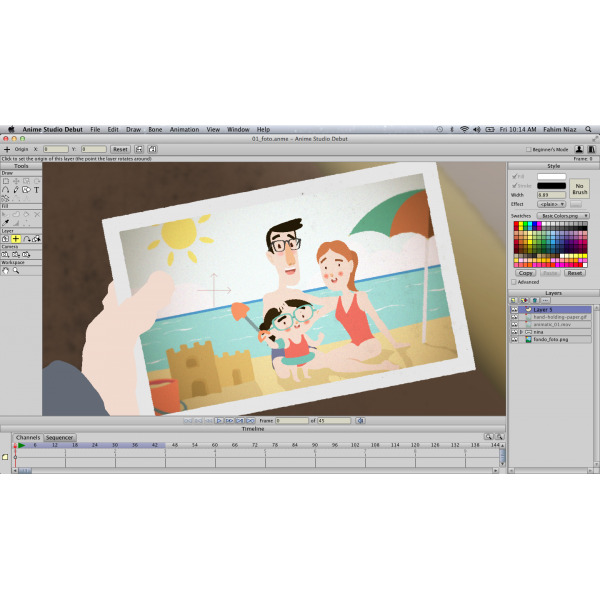 Art Bring in your Illustrator® or layered Adobe® Photoshop® files; instantly gather all your project files in one location. Import your favorite images from your digital camera, attach bones and easily turn your photographs into animated movies. New! 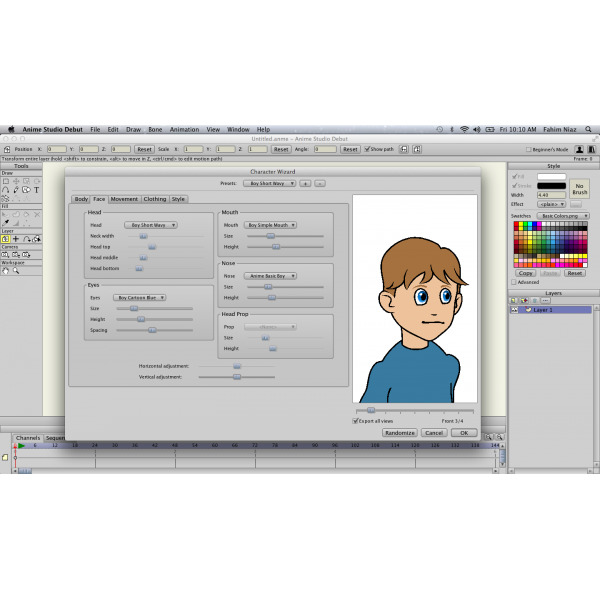 Updated Character Wizard lets you design your own ready-to-animate characters complete with walk cycles, expressions and more.  New! Enhanced Drawing Tools allow you to create complex shapes quickly by eliminating the need for precise drawing and gives you the freedom to sketch as you desire.  New! Wacom Multi-Touch support allows you to use Wacom’s new generation touch tablets with Anime Studio. o Easily edit characters, scale, rotate, pan, zoom in and out of the canvas with simple finger gestures. Available on Bamboo, Intuos and Cintiq touch based tablets.  New! Smart Tool Palette provides a less cluttered interface and combines specific tools.  New! Workflow improvements to repetitive tasks will help user productivity.  New! The Text Input Enhancement allows for greater flexibility in specifying font, line width, color, kerning, and more.  New! Use built-in Word Balloons in your animations.  New! Undo/Redo Enhancement allows undo/redo of layers now too.  New! Key Frame Hold Duration allows you to hold the duration of a particular key frame as long as you want.  New! Assign colors to layers in the layers palette, helping you keep track of layers that relate to each other in some way.  New! 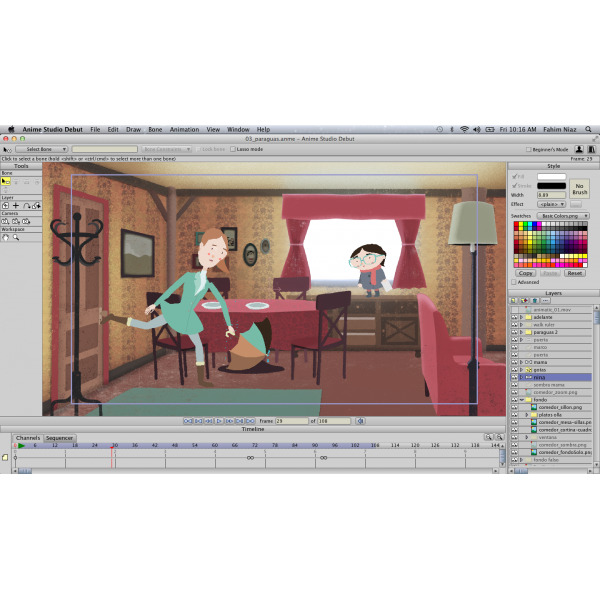 Assign colors to keyframes in the timeline, to help keep track of animation sequences that relate to each other.  New! Updated documentation and tutorials gets users started faster.  Image Vectorizer allows you to quickly bring your existing sketches and image files to life by converting them to ready-to-animate vector drawings with the click of a button.  Quickly find and edit vector layers using the Vector Shape Selector. 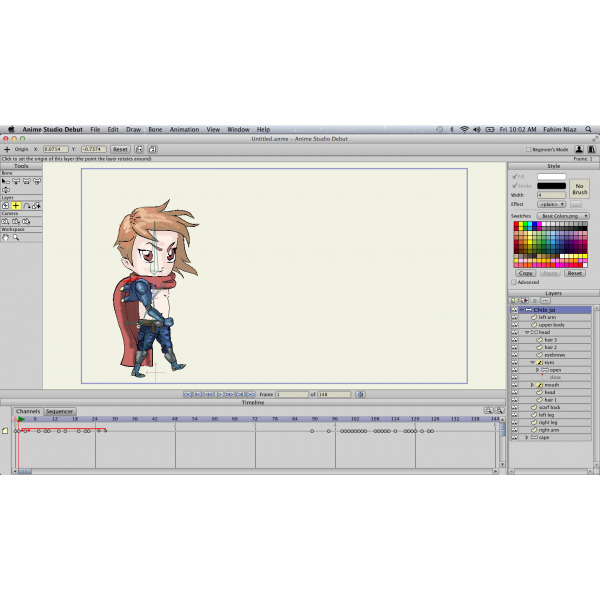  Beginner’s Mode gets you started animating right away. 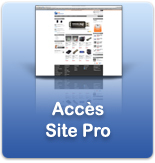  Incorporate sound clips with integrated audio recording and automatic lip-syncing.  Remove background colors from images using the Magic Wand tool.  Apply cartoon effects to any image or video.  Track, zoom and roll the camera.  Access the Content Library for hundreds of ready-to-use characters, props, scenes and more.  Pen tablet support simulates drawing on paper.  Built-in tutorials and sample files get you up and running quickly. 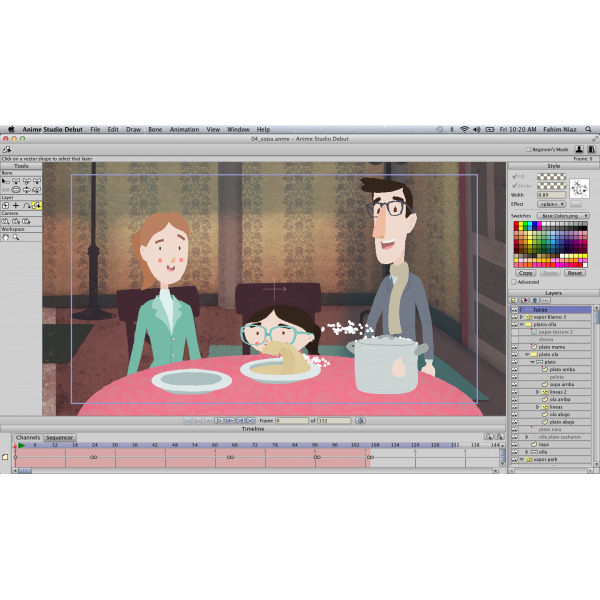  Combine your animation with audio and video elements.  Import QuickTime®, AVI or MPEG-4 video.  Incorporate audio files such as WAV, AIFF or MP3.  Export your animations in SWF, AVI or MOV format.  Render up to 720x720 resolution.  Upload directly to Facebook® and YouTubeTM. 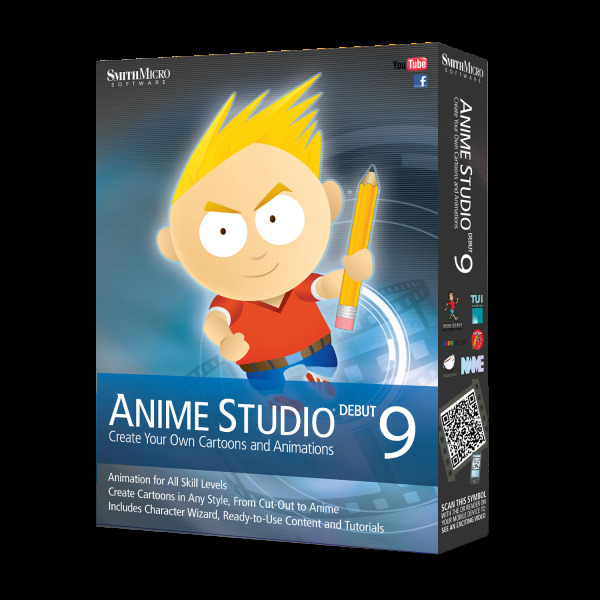 Logiciel Anime Studio Debut 9 en version Anglaise pour PC/MAC.